All of my released content is now on my website. For previews, downloads, news, etc... check out the site! Please also check the website above for updates. Old OP shown in the spoiler below. I will try to post updates in this thread as they appear on the website; however, note that I don't always have a chance to do so (and/or I forget sometimes. ). In addition, I am (slowly) working on uploading my content to the official WGmods portal. My profile (and all the mods I've uploaded there) can be found here: https://wgmods.net/modmakers/1515/. However, not all of my content is up there yet, and for the time being, my website (and the corresponding Github page) is the main hub for my mods. In addition, I would highly recommend checking out the work by these other creators -- although, do keep in mind that this is not a complete list by any means. There are tons of others out there; far too many to count in one post! Hello again! Here is the hub where I'll be posting all of the skin mods/packs I make in the future. 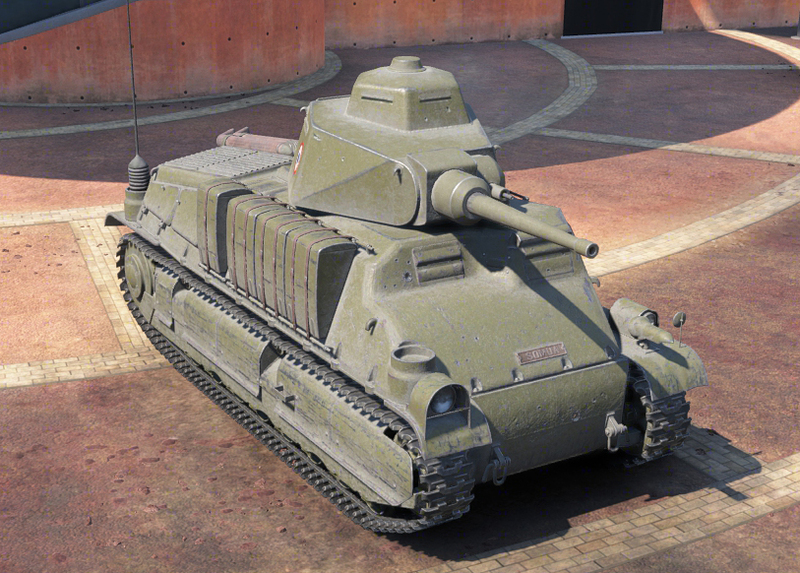 So far, I've done two color swap mods: one for all of the HD Japanese vehicles, and one for the post-war HD French vehicles. Download links for all of the packs are at the bottom of this post. UPDATED Dec. 19th with support for Milkym4n's Type 74 remodel! A while ago, I said in this thread that I was considering releasing a color swap mod for the Japanese tanks. And... well, I'm not one to disappoint on that front! This mod changes the default color for Japanese tanks from the dark green we have now to a beige/sandy color, bearing some resemblance to the pre-release color shown on the original Chi-Nu Kai & full tree on the 0.8.10 common test server (as described in the other thread). Additionally, I changed a couple of the camouflage patterns to fit the new color, and included new icons for all of the tanks which received the swap, as well as adding an alternate flag as an option (which doesn't appear to be historical, but I still like it, so I'll keep it in the pack as an option). IMPORTANT NOTE: Only the tanks that are currently in HD have the color swap. The non-HD tanks still have their default green color. Since WG is going to rework them into HD at some point anyways, I'd rather not have to re-do the mod twice for those tanks. Plus, the color shows up weird since they use the old model/texture system. This means that the R. Otsu, Chi-To, Chi-Ri, STA-1, Type 61, and STB-1 do not have the color swap. Gladly, however, everything else (including the full heavy line) does have the color swap. - The color change for all HD Japanese vehicles (obviously) + support for Milkym4n's Type 74 remodel! By request of @bezrq, I also made a color swap for all of the HD post-war French vehicles to give them a similar sandy color to the one seen in this photo. As far as I can tell, this was the base color for Israeli tanks of the time, but since it was applied to a vehicle that was originally French (and it looked cool when I tried it out), I made it for all of the other post-war French tanks (in HD, at least). NOTE: No changes were made to the camouflage paints or emblems in this pack, since it only replaces the skins of some vehicles. UPDATE (12/31/2016): Please note that work on this pack has been discontinued, and it will not be supported in the future. The reason for this is the upcoming release of my Israeli Desert Base pack, which will include many vehicles historically used by Israel (and some similar variants to them, i.e. IS-3A or AMX 13/57 GF). See further down in this post for a beta release of the pack. Here's something I did a while back (as my first big skin pack, no less), but never actually uploaded (since it was only really due to personal/clan preference). It's fairly straightforward, and changes the default Czechoslovak tanks' color from brown to primer grey (a little lighter and flatter than German dunkelgrau). This probably isn't a historical color at all; I only did it because I didn't really like the original brown. Didn't really think I'd upload this, but I ran out of space on my computer for it, and Dropbox/Google Drive didn't exactly have space for it either, so I just stuck it in the Box.com hub, and... the rest is history? During my experimenting, I decided to take a stab at giving the German tanks some color, and this is the result, after plenty of tweaking. This color took a long time for me to get even close to correct, for some reason (and I'm still not sure if it's quite right)... but it's finally here! (That, and I'm kinda getting bored of looking at it, so I figured I'd put it on the download hub instead of just deleting it entirely). This one was made to replicate the dark olive-green paint seen on some historical American vehicles, but I wanted to make it with its own unique appearance compared to my British olive green, so I darkened it a bit. While this still may be considered historical, I have no idea if it was actually this dark or not. Either way, I thought it looked pretty cool (or at least a lot more interesting than the default drab brown), and a few people requested a pack like this, so here it is! I thought the default French color was one of the nicer ones, but it wasn't exactly historical, as far as I could discern. So, like with the American dark olive pack, I went for a more historical color. This can be seen on a couple vehicles, including the real AMX 50 B prototype and surviving ARL 44. It isn't exactly the same, but I got it as close as I could, and, once again, I don't think it turned out too bad. And so, a pack was created! Nelumbo suggested I try to replicate the historical color for Soviet vehicles (4BO), and I liked the idea, so I had a go at it (thank you for the suggestion, by the way, @nelumbo!). After a fair amount of tweaking (as usual), here's my interpretation of it (well, one of the variants, anyway). It's probably not exactly accurate to the real 4BO-1 (which is the variant this was based on), but I think it's close enough. I could probably spend hours trying to get the color exactly correct, but I don't have that kind of time or motivation/effort/etc., so. NOTE: In preparation for patch 0.9.17.1, reskins are included for the incoming HD vehicles (A-32, Obj. 140, Obj. 907, Obj. 268, & Obj. 263) as well. Unless WG decides to ninja-update the textures (like they did with the FV304 a while back), you should just be able to rename your res_mods folder to "0.9.17.1" when the update comes out instead of re-downloading the entire pack all over again, and the color will show up on these new vehicles. Also, I haven't made icons for this pack since the change is fairly subtle, but I may add them eventually, if time and motivation allow for it. I've always liked how a lot of scale model German tanks are painted in their factory red primer color, and I saw one model in particular which had a black gun barrel and dunkelgelb wheels. From this, I decided to make a skin for a few vehicles to try and replicate this look. It ended up turning out a bit darker than expected, and it's definitely darker than the historical red primer color, but the lighter version didn't look all too great to me, so I stuck with this and applied it to other vehicles. And with that, voila! A new pack was born. This is an early beta release of the German Red Primer pack. There may be some slight issues with certain vehicles; if so, please let me know! More may be added soon. Vehicles with very large wheels are more likely to receive this, since the camouflage paint will be much more visible on those, but I'll add camo to any that are requested. - No icons are included as of yet. Since the vehicles in this pack have three separate colors, the icons will likely take a bit longer to make. - The latter two Waffentragers are likely to be reworked to a similar appearance as the Pz.Sfl. IVc currently has, but I'm not 100% sure as of yet. - Again, this is an early beta release, and probably will have bugs. If you find any, please let me know. The vehicles in this pack do admittedly take a bit longer than most of my other packs, because of the black-painted gun barrels (with these, I usually have to go hunting for parts in the vehicle's textures, to make sure only the gun/muzzle brake are painted black and not the gun mantlet, which takes a while), so progress might be a bit slower than most. However, I'll work on it when I have time (and when I feel up to it). IMPORTANT NOTE: This is a very early beta version of the pack, and does not yet include all of the vehicles planned for the pack (see this post for a list - my hope is to have all of the mentioned vehicles which are in HD included at some point). And I personally think it got pretty darn close for once. Hope you enjoy! Well, I like WG's default Rhm. Skorpian camo pattern, but... WHAT'S WITH THE UGLY LOBSTERS?! So, uh, as with my other skins, I changed it...! This skin was conceived from my curiosity for the question: What if the MT-25 actually existed, and was used in combat? 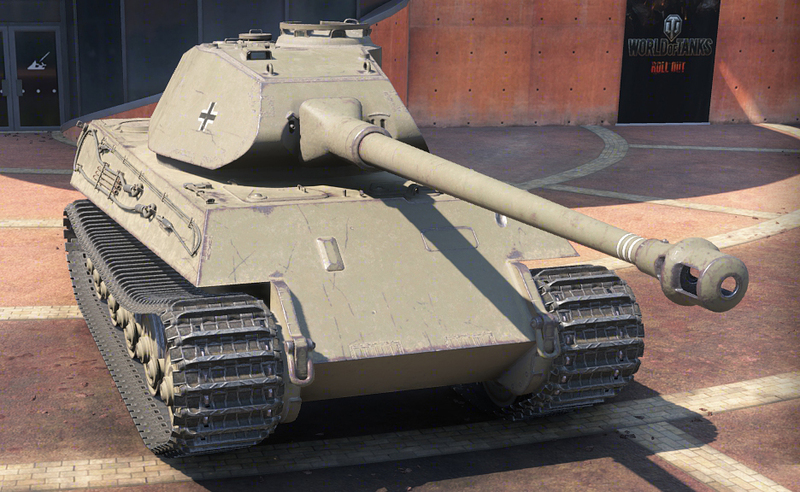 It's inspired by vehicles like the IS-2 & ISU-122S, which had white stripes painted onto their hulls and turrets (both in-game and historically). I tried to give it a hand-painted & battle-worn look, and I think it turned out pretty well, personally. I included an edited camouflage map so the stripes/numbers/etc aren't overlapped by camo paint. Bert is and will always be amazing. So, I thought: why not make him even more amazing? ...and then, he got a little bit huge when he got reworked to HD. So... oops. But, nonetheless, I made a skin for him anyways. Like the previous skin, I included an edited camouflage so the in​sc​ri​ptions/etc. aren't overlapped by camo paint. CREDIT TO RANZAR for his FV304 caricature, shown on both sides of the skin! This wouldn't've turned out nearly as good without it. 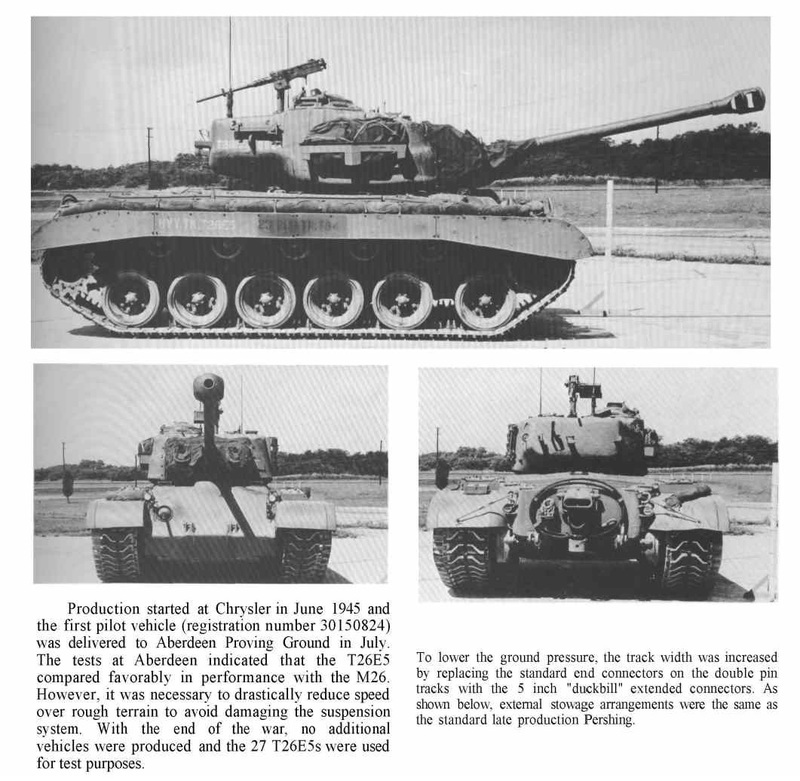 Short "what-if" (not historical) backstory: America decided to rush the T26E5 into combat, and wasted no time sending one of the existing prototypes (T26E5 ID#30150824) into battle. Several months (or years, who knows) later - this is the result. Well, there you have it. I took one of the historical T26E5 prototypes and added some of my own "what-if" ideas to the vehicle! It features some historical markings from this prototype, as well as my own insignia & in​sc​ri​ptions (and a few features from WG's original T26E5 Patriot, just toned down a whole bunch). Like the previous two skins, I included an edited camouflage for the standard version of the vehicle so the insignia/in​sc​ri​ptions/identification numbers/etc. aren't covered up by camo paint. IMPORTANT NOTE: On the download hub, you'll find two versions: one for the standard T26E5, and one for the Patriot edition. Download whichever one you want, or maybe even both! It's up to you. I made something quick for the Krupp/Steyr WT, inspired by this scale model of the vehicle, but with a few changes to suit my taste (namely, I swapped colors on the gun barrel and chassis). Probably not historical, but again, I like my "what-if's". I suppose this could be considered an early preview of the primer red mini-pack, but for now, it's just for the Steyr. The red is also probably a bit darker than the actual red primer color used, but lighter/less saturated tones of red made it look... well, a bit weird, IMO, so I stuck with a darker red. Massive thanks to Milkym4n for the tutorial on enabling chassis camo paint. - Temporarily removed vehicle recolor due to possible "Updating Crew" bug: VK 30.02 (DB), Pz. T-15, E 50, Panther II, VK 45.02 A, E 50 M, Pz IV S, Indien Pz. - Released USSR 4BO-Green (Full) & German Red Primer (BETA-0.1) packs! - Japanese Red/Brown: Added Type 4 Chi-To, updated Type 4 Heavy & Type 5 Heavy textures. - French DarkGreen: Added Renault FT, Hotchkiss H35, AMX 38, & ARL V39. - German Dunkelgelb: Added Panther, VK 30.02 (DB), Pz.Kpfw. T-15, E 50, Panther II, VK 45.02 Ausf. A, E 50 Ausf. M, Pz. IV Schmalturm, Indien Panzer, Pz.Kpfw. VII, Typ 205 (Mäuschen), & Typ 205/4 Jun (VK 100.01 (P)); updated Pz.Kpfw. VIII Maus, VK 72.01 (K) / Pz.Kpfw. VII, & Typ 205/4 Jun (VK 100.01 (P)) textures. - US DarkGreen: Added T14 Heavy Tank, T21, & Panther/M10. - UK Olive Green: Added TOG II*, AT 2, & AT 7. - MT-25 '212': Added missing chassis textures & missing hull/turret AO textures (for camouflage); changed base color to 4BO. - Dec. 20, 2016 - Jan. 25th, 2017 : Well [edited], I forgot to add stuff to the changelog, so there's a bit of a gap between Dec. 19th and Jan. 25th, sorry. Added support for Milkym4n's Type 61 remodel at some point, released "Red Primer" skin for Krupp Steyr WT, and released a beta of the Israeli vehicle pack (including support for Milky's M4A1 remodel); can't remember what else I did though. 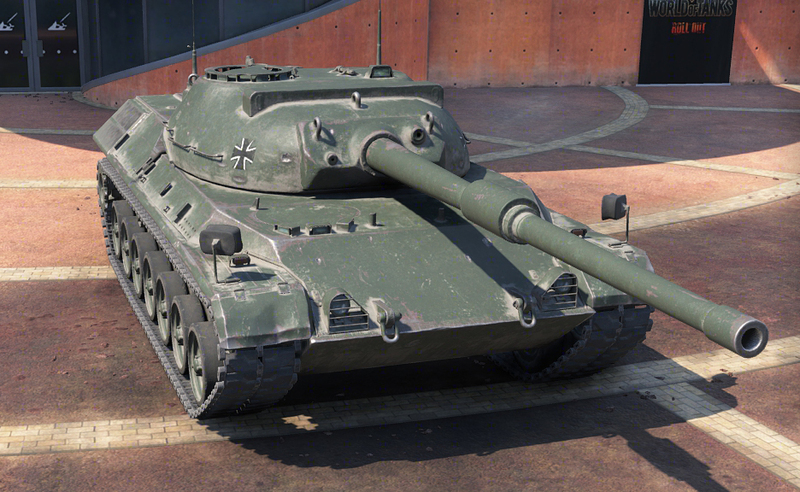 - December 16th, 2016: German Dunkelgelb - Fixed Panther 88 textures; French Dark Green - Added Lorr. 40t; US Dark Olive - Added Chrysler K; everything else - Updated for compatibility with the holiday micropatch (0.9.17.0.1). - December 14th, 2016: German Dunkelgelb - applied color & matching icons to: Pz. Sfl. IVb, Pz. Sfl. IVc, VK 28.01, Sturer Emil; French Dark Green - applied color & matching icons to: B1; UK Olive Green - applied color & matching icons to: Conqueror Gun Carriage; All others - Updated for compatibility with patch 0.9.17.0. Edited by FastestClassic, Feb 13 2019 - 22:35.
fixing the colour of ugly tanks is like melting cheese over a baked potato. It might taste better, but it's still a potato. But... potatoes can be great! ...right? In real life, they were in a pretty wide assortment of colors. Most of the ones I could find had camo painted on them already, but here's a photo of a a gray/forest-green Chi-Nu. As you can see, this isn't quite the color we have in-game, but it's close. So, I guess you could say this is somewhat historical. Overall, however, I didn't really intend for it to be a 100% historical mod; I just preferred the old color over the current green & thought the sandy color made a bit more sense (coastal defense/etc). Edited by FastestClassic, Jul 08 2016 - 19:43. WhoTF doesn't like cheese on a baked potato? Cant wait for the rest of the tanks to be finished. EDIT: Whups, I don't think I actually mentioned that I didn't change the non-HD tanks' color in the OP (or say why). Updated it now. Edited by FastestClassic, Jul 09 2016 - 16:55. Can you tell me how you did this? I would like to make my own versions of this for different nations and tanks. Good job either way, looks great! DISCLAIMER(s): The way I do these color swaps is a little more complex than some other methods I've seen, and requires Photoshop CS6 or higher. Unlike the usual method of applying a color overlay to a black-and-white version of the vehicle's skin files, which ends up removing the dust/dirt and screwing up the color of the tools on the tank, this method preserves most of these details. NOTE: For German tanks, this method doesn't work to well, since gray isn't really a "color", but I assume there are other ways (I'm working on finding one right now; I prefer the look of the dunkelgelb paint on the later tanks i.e. 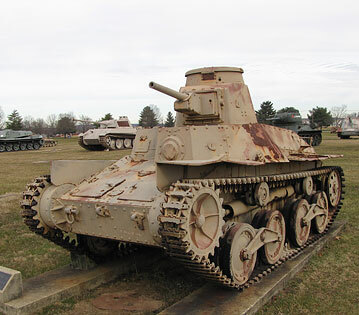 VK 45.03). 1. Find the skin you want to change the color of - these are located in in res/packages; use something like 7zip to open the vehicle .pkg files. I usually prefer the HD ones since they have much higher detail, and just copy those to the non-HD names, but it's up to you. The files themselves are usually the vehicle names with "_AM" or "_AM_hd" on the end. 3. Extract them to your res_mods folder in the correct location (res_mods/<version>/vehicles/<nation>/<vehiclename (as specified in the game files, i.e. G27_VK3001P for the VK 30.01 P)&gt . 4. Select the vehicle's original color which you'd like to replace. NOTE: Depending on the vehicle, you may need to adjust the "fuzziness" value to preserve more details. A higher fuzziness value means more variations of the color you selected get replaced, while a lower fuzziness value preserves more of the original colors in the image. I tend to use lower fuzziness values as such, but this depends on the tank in question. 5. In the bottom left of the window, change the second color to the color of your choice. You can also adjust the existing color selected using the hue/saturation/brightness sliders until you get something you like. 6. Save with DTX5 texture compression with the option "Generate MIP maps" enabled. 7. Open up your game and see how the color swap turned out. IMPORTANT NOTE: The color in photoshop will usually look slightly different than the in-game color due to how the textures are rendered. Make adjustments if needed. As I said, I prefer this method to the usual one suggested by most, since it keeps the original details of the vehicle while changing the base color quite nicely, even though it isn't as easy to use + it requires photoshop CS6 or higher, which isn't as attainable as gimp or paint.net. There may be a way to do this in paint.net or gimp, but this way has worked the best for me so far. Enjoy! Hopefully this is useful for other skinners as well. EDIT: Whups, forgot I actually figured out how to do this for the German tanks as well. Instead of doing a color replacement, go to Select > Color Range, and do the same as if you were doing it using the replacement method. Then, create a new layer and use the selection as a layer mask. Change the blending mode to "Overlay" for this layer and fill it with whatever color you want to replace the default gray with. If anything, I might actually release an action set for anyone who already uses photoshop and wants to do this without having to constantly repeat each step for every single component (hull, chassis, gun, turret, etc), possibly with some example colors (German dunkelgelb + Bundeswehr green [seen on the PT A above; not 100% accurate, but I like it regardless], British olive green, etc). Edited by FastestClassic, Jul 11 2016 - 07:17. As I said, I am dumb. Found where you said it was. Edited by bezrq, Jul 11 2016 - 07:18. Ah, no worries. Bit of a heads up, just in case you can't find some of them in the specified locations: a few vehicles have their skin files located in "shared_content.pkg", "shared_content_hd.pkg", "shared_content_sandbox.pkg", or "shared_content_sandbox_hd.pkg", including the Tiger II and Pz. III. Gladly, most of the vehicles have their textures located in the vehicle .pkg files, so you should usually check there first. Edited by FastestClassic, Jul 11 2016 - 07:30. Usually, it's mostly about picking the right base color to swap. As is realistic with dirt/dust, the in-game textures have some variation in the base color, so you have to play around a bit and try to find the color that seems to fit the best. Little hard to explain (and execute), and it can vary between nations - French blue is much easier to swap than something like the British tan color, since the tan color is so similar to the dirt/dust color, etc. Which tank(s) are you trying this with? If you'd like, I can try swapping the colors of the tank(s) you want. For that, all I need is the vehicle name(s) and the hex color code of the color you want to use. Edited by bezrq, Jul 11 2016 - 20:45. Don't really know if this is correct, so if you have a better color, I can try that out as well.